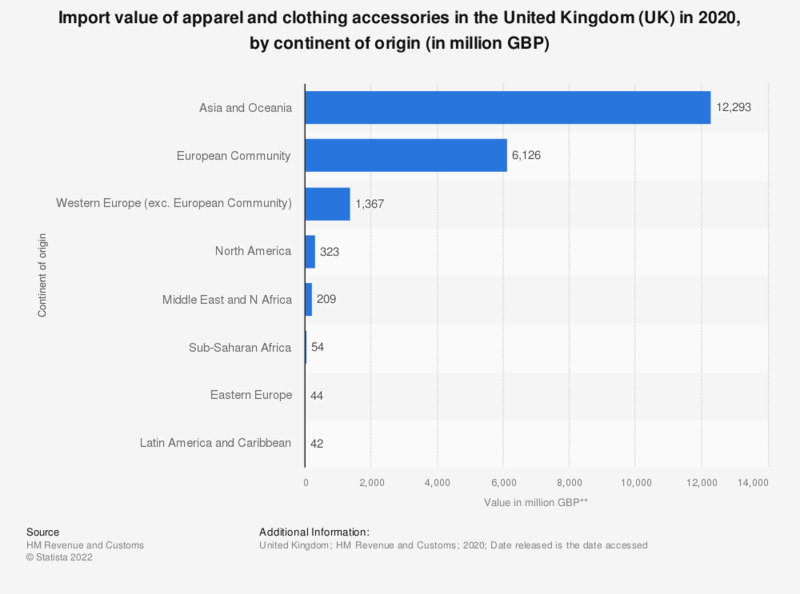 This statistic shows the import value of apparel and clothing accessories into the United Kingdom (UK) in 2017 by continent of origin. That year approximately 336 million British pounds worth of clothing was imported into the UK from North America. * Data sourced from www.uktradeinfo.com using SITC codes 84 (articles of apparel and clothing and accessories). Excludes footwear.